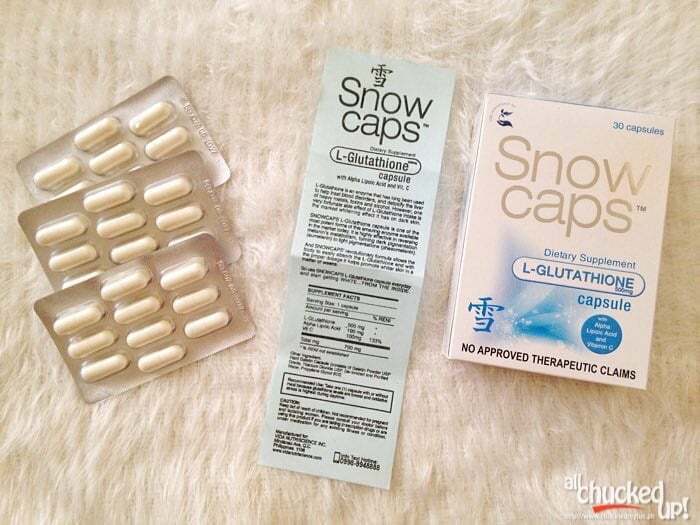 Snow Caps and Snow Skin Whitening Soap - There's more to L-Glutathione than you think! - All Chucked Up! You are Here >> Home >> Health and Fitness >> Snow Caps and Snow Skin Whitening Soap – There’s more to L-Glutathione than you think! UPDATE: Alden Richards is now the new brand ambassador of Snow Caps. Read all about it here. If you think that Glutathione supplements are things that only women take to make themselves whiter, you are sorely mistaken. It is true that Glutathione helps make skin whiter and adds a special glow to one’s appearance… but did you know that all these beauty benefits are merely a fortunate side effect of this wonderful enzyme? Yup! L-Glutathione is actually mainly used for the incredible health benefits that it offers. Perhaps, because of all the hype that L-Glutathione gets on television and on print, you’ve been led to believe that its sole purpose of being in the market is for making skin whiter. And although some people indeed use it to make their skin fairer, others actually take Glutathione to improve their health. And since I’m all about better living and maintaining a fit and healthy lifestyle, I’d like to show you why L-Glutathione is an important supplement that anyone can include in their daily health regimen. This way, we can likewise debunk the common misconception that L-Glutathione is merely a whitening agent. Just recently, I was presented with the opportunity to try out Snow Caps – a dietary supplement that contains 500mg of L-Glutathione in each capsule. And because I already knew about the wonderful things that this amazing compound provides to the body, I immediately tried it out. Besides, I already have fair skin complexion to start with so I was really only after the betterment of my well-being. On this particular instance, let’s talk about Snow Caps since it is, in fact, the brand of L-Glutathione that I am currently taking, and also because not all supplements are created equal. 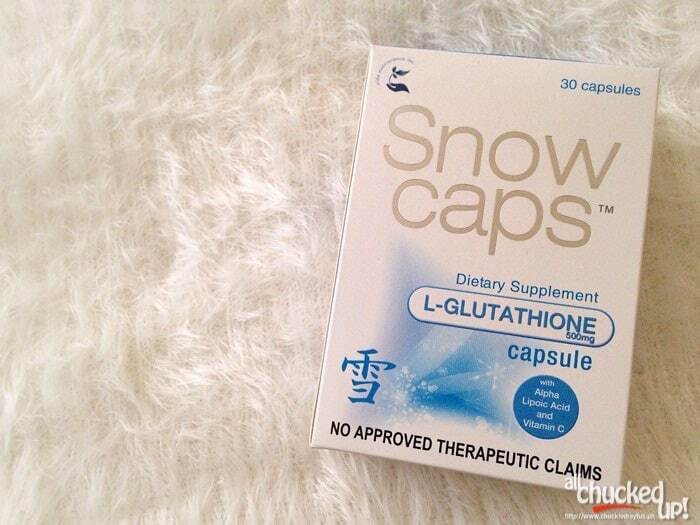 Why is L-Glutathione in Snow Caps important for good health? Glutathione or simply known as “GSH” naturally occurs in our bodies and is considered to be our body’s master antioxidant. When GSH levels are low, so is our immunity. The L-Glutathione in Snow Caps helps boost our GSH levels, increasing our body’s ability to fight off all sorts of infection and illness. When we get sick and fall ill, the glutathione stores in our body are rapidly used up to help fight the problem. Think of taking Snow Caps as a way of storing up firepower for future battles against sickness and help prepare our body to deal with infection and diseases before it has a chance to take hold of your system. In this regard, you can consider Snow Caps to be one of the best preventatives and an effective treatment for many health problems. We may not have found the mythical fountain of youth yet but taking L-Glutathione in Snow Caps comes close to it in a sense. Who doesn’t want to stay young as long as possible, right? Hey, let’s face it… aging may be something every single one of us cannot avoid, but FEELING old is very preventable. Here’s the thing… one of the leading causes of aging are free radicals and oxidative damage. What it does is bog down the body, leaving us feeling old and tired. L-Glutathione helps eliminate these free radicals and prevents their formation. Inflammation is a leading cause of virtually every disease known to man. And although it is actually a natural and healthy immune response, when it persists longer than necessary, it can be deadly since it can lead to severe health problems. Low GSH levels are associated with chronic inflammation. It goes without saying that by increasing GSH levels though the intake of L-Glutathione in Snow Caps, we can fight off mitochondrial superoxide production and oxidative protein (pardon the medical jargon). The glutathione in our body is a potent chelator. It is involved in cellular transport, response and the excretion of toxic heavy metals. Why is it important, you ask? Because Chelating heavy metals is vital to our health as we age. You may not know it but we absorb all sorts of heavy metal every day – through the water we drink, the kinds of food we eat, and yes, even via the anti-perspirant deodorants we use. And since avoiding exposure to toxic metals is next to impossible, minimizing it can be very helpful. And because our body isn’t fully equipped to chelate all these heavy metals, they end up accumulating inside our body each and every day. But, with ample glutathione levels, the body is capable of excreting these metals from the body, relieving the damage they cause to our cells. The L-Glutathione in Snow Caps combined with a healthy lifestyle will minimize your exposure to toxic heavy metals which can significantly improve cognitive and neurological development as well as function throughout the aging process. The antioxidant benefits of glutathione are incredible… this is the very reason why it has earned the name “Master Antioxidant” of the body. Glutathione is found in every cell and scours our system for toxins, free radicals and heavy metals which pose a threat to our health. It acts as a magnet, gathering up all these harmful substances and expels them from the body. It doesn’t take a genius to figure out why the L-Glutathione in Snow Caps helps your well-being in this regard. The most detoxifying organ of our body is the liver. It is no surprise that the highest concentrations of glutathione is found in this organ. This is the reason why glutathione is closely linked to liver health and function. When the GSH levels in our body are high, it lessens the workload put on the liver giving the organ a chance to repair itself. This, in turn, reduces liver inflammation which is the main cause of liver cirrhosis and impaired liver function. Whether you have a poor diet or lifestyle choices, this normally compromises the health of your liver. Improving the health of your liver is one of the most beneficial things anyone could ever do. As I’ve earlier said, L-Glutathione in Snow Caps greatly increases GSH levels which lessens the stress on your liver. Heavy metals and free radicals can cause substantial damage to our brain. This increases the risk of cognitive disorders such as dementia and Alzheimer’s disease. And since there are only a select number of antioxidants, like glutathione, that can pass through the blood brain barrier to detoxify and repair the brain, I can never stress enough how important it is to raise your GSH levels by regularly taking L-Glutathione in Snow Caps. This increases the availability of antioxidants to help provide the brain with the necessary tools to repair damage done and to also prevent further damage. You probably know that the skin is the first line of defense against infection and disease. This is the reason why it has a high concentration of antioxidants compared to deeper tissue. This explains why when our health is compromised, the appearance of our skin also suffers. By supporting glutathione levels through Snow Caps, you are improving the quality and well-being of your skin, which in turn manifests itself by showing a healthy glow and a huge reduction in wrinkles and dry spots. So, here’s the thing, folks… the body produces glutathione naturally. The problem is that the glutathione that is produced just isn’t enough to maintain an adequate level throughout one’s lifetime. Glutathione levels drop as we age which explains why we become increasingly vulnerable to sickness and infection as we grow older. Add to that the kind of lifestyle we live and the poor choices in diet that we make. Our body needs all the help it can get and it actually isn’t hard to do if you think about it. My advice? Forget about the cheap blend of multivitamins you see in thrift stores and seriously think about what can really help you get back on the road to good health. Start loading up on L-Glutathione by taking Snow Caps because as cliche as it sounds, the saying holds true… health is indeed wealth. Pimple problems? Try using Snow Skin Whitening Soap for a change. Back in the day, I used to suffer from a ton of pimples – a common problem for adolescents and kids who have finally reached puberty. As much as we’d all like to think of having zits as sort of a rite of passage, there are ways and means to fight it. My son isn’t exempt from this problem and, naturally, I’d like help him battle this common enemy. It all starts with proper hygiene and choosing the right kind of soap. I also learned about Snow Skin Whitening Soap about the same time I learned about Snow Caps. I decided to try this out on my son since he’s been complaining of pimples which keep on coming back. Snow Skin Whitening Soap has an optimal skin penetrating formulation from the Swiss Alps that promotes skin lightening with anti-age spot activity. 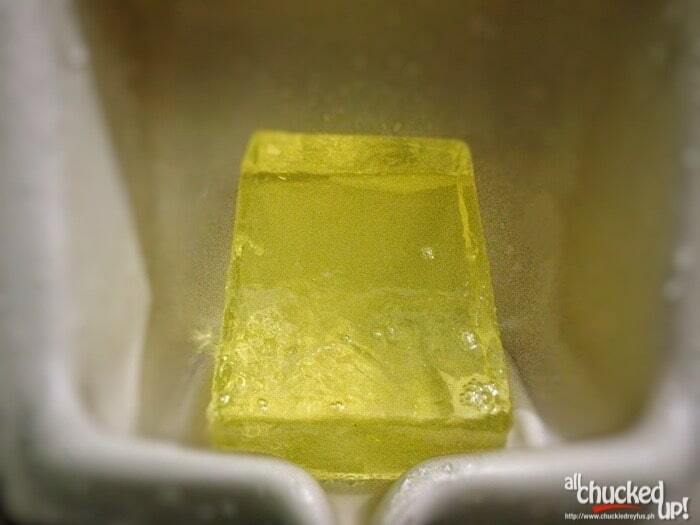 Also, this soap boasts of ACE-B3 (Antioxidant complex). ACE-B3 is a potent combination of Aloe Extract for skin moisturizing and protection, Vitamin C which helps protect against photo-damage, Vitamin E for free-radical defense and Niacinamide B3 for skin clarifying and lightening. I found Snow Skin Whitening Soap to be an effective weapon against the common zit, as these before and after images of my son would attest. These images have been taken one (1) week apart. And it clearly shows that with daily use, Snow Skin Whitening Soap not only protects the skin from pimples, it also helps lessen the scars and marks caused by it. If you’re serious about good skin care, I suggest you try it out as well. 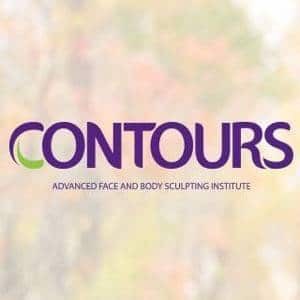 It might just be the answer to all your skin concerns as well. 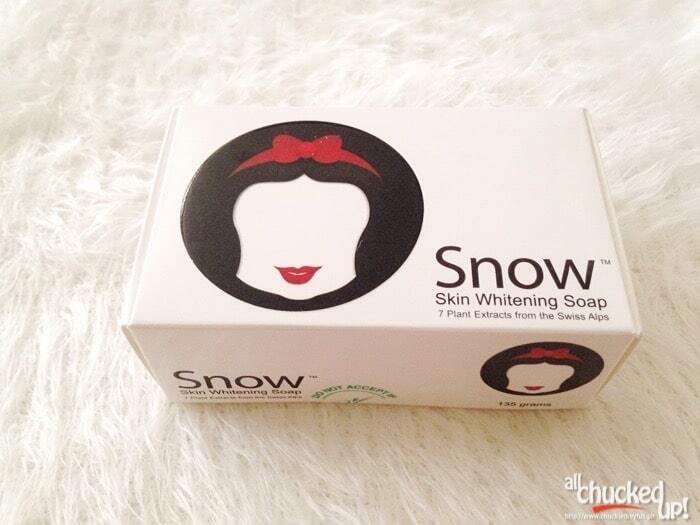 Use Snow Skin Whitening Soap as how you would normally use regular soap on your face and body. Leave on skin for 2-3 mins before rinsing. To know more about Glutathione like the one found in Snow Caps, click here. Oh! By the way , if and when you try using Snow Skin Whitening Soap, why not share your experience with us by leaving a comment below. Or better yet, why not share your own take on these amazing products. How, you ask? You can live stream beauty tutorials & blog about expert beauty or health tips on the go with a cloud hosted virtual desktop along with windows applications with remote accessibility from your mobile device using www.CloudDesktopOnline.com. For more Cloud apps for entrepreneurs visit Apps4Rent.com today. ‹ Walker Madness at Digital Walker – The Great 2-Day Sale! › The AirAsia Travel Photographer 2015 powered by Nikon is ON! Available at all Mercury Drugstores, Watsons, SouthStar Drugstores, Landmark Supermarket and LCC malls. Hi miss.. Are u using snowcaps po while breatfeeding? I want to take snow caps kaya lang takot ako kasi breastfeeding mom pa ako..
Para po sa mga breastfeeding moms… nabasa ko sa website ng Vida Nutriscience (maker ng snow caps http://vidanutriscience.com/ ) na hindi advisable para sa mga pregnant and breastfeeding moms. 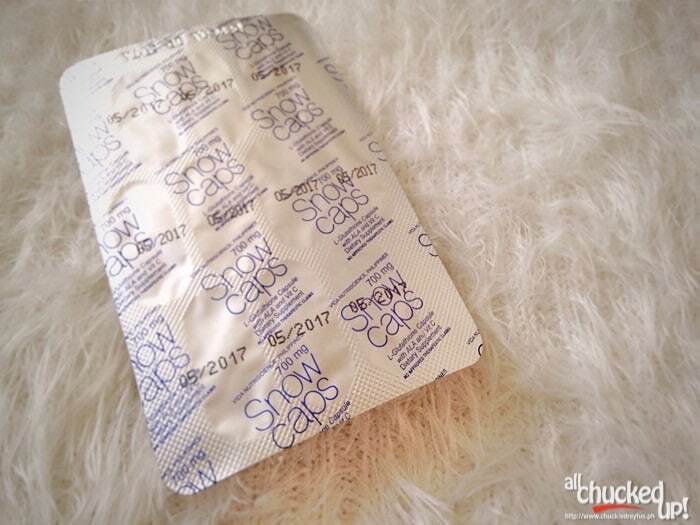 ok lang po ba mag-take nang snow caps kaht wala naman skin problem? i have fair skin complexion just want to rid block spots like on knees, ankles and elbows. it will be my first time taking this kind of capsule/drug. Please advise. Thanks. Hi Jennifer. Thank you for finding my blog helpful. Actually, Snow Caps has Vitamin C (in the form of Sodium Ascorbate) already included sa formulation niya. But you can always take additional Vitamin C after taking Snow Caps if you want. I recommend Sodium Ascorbate like Fern-C because it’s the better kind of Vitamin C and you can take it even on an empty stomach. hi! ask ko lang kung anong best na vitamin c na partner ng snow caps? Centrum,poten-C? Hi chuckie, is it ok to take ascorbic acid 500mg after snow caps?coz i’ve already bought it. hi. got a courage to take snow caps with gen-cee vit c and dm pineapple juice. i finished 10 tabs…and i’m now on my second 10 tabs now. hmm i don’t really know if the product was effective because i don’t really have skin prob…i just want to rid dark spots on my elbows, knees and ankles. Pwede bang hwag na ako mag-take ng vit c? instead i will just drink pineapple juice, bec i hate taking meds/drugs really. thanks. hi guys i just want to ask lng po if its more effective ba na nakakaputi ang snow caps? i already read all the comments nman po, pro gusto ko parin po magtanong.. i really want to have whiter skin po kasi. Yes. Nakakaputi siya. Plus nakakaganda ng kutis. Hi Just Want to ask my friend if pwede daw po ba sya itake ng twice morning and evening ? kasabay din ng vitamin C? Hi please answer is it ok to use snow caps even if i take pills? Just wanted to try the product please advise.. I think it’s best to ask your doctor about that. Hi i just want to know kung ok lng magtake ng snow cap even my allergy ako sa penicilin ?? Thank you ..
We have the same photos because the “The Tummy Traveler” is my wife. Hi tanong ko lang po Ok poba na wag nako mag take ng vit.C? At may nababasa ako Na umitim sila nung nag take sila ng snow caps. So I’m afraid baka gano din maranasan ko. your reviews are helpful keep posting awesome blogs! natry ko po yung Snow Caps and super effective together with the soap snow whitening nagmamicropeel ako after 1 week nakakaganda ng balat aside from that nagboost yung immune system since i work at laboratory medyo pagod pero hindi mo siya mararamdaman mas maganda sabayan ng sodium ascorbate “fern c” yung pagintake ng snow caps at least 1 hr yung pagitan…. kaya thanks for this!! so nirerecommend ko na din siya… hindi mo mafefeel ang stress! kaya magSnow Caps na kayo..
Hi! I would just like to ask kung safe po ba sya inumin ng hypertensive. thanks! Hello po I just want to ask if I can take snow caps I’m only 17 years old. Is it good for me to try it? Hi! I just wanna ask if it is okay to drink and smoke while taking snow caps? Thanks! hi i just want to know if it is available in other country? The undiscovered health benefits of Glutathione - All Chucked Up! 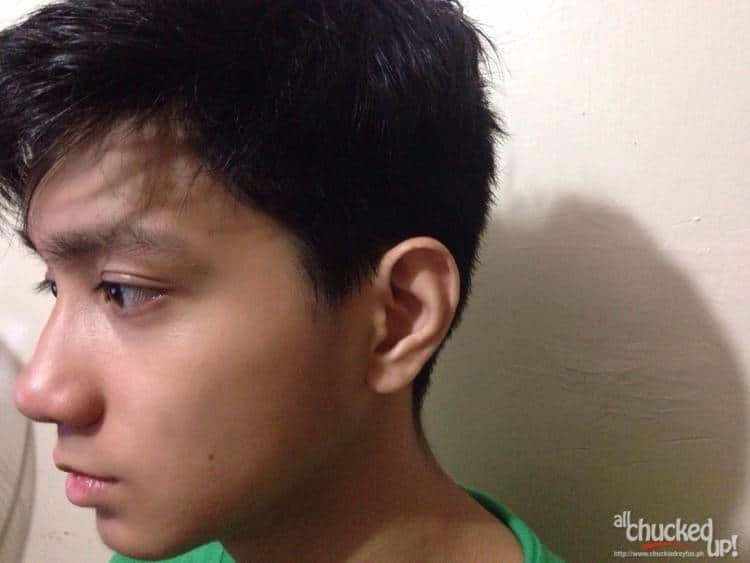 Pwede na po bang uminom kahit 19 yrs old? Hello! I just want to know if the snow soap has an itchy feeling or mahapdi ba siya sa skin? 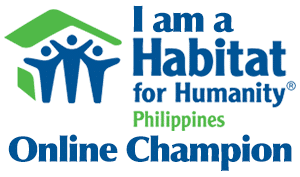 Coz I’m planning to buy one.Thank you! I’m currently taking this snowcaps supplement and I love the results I’m getting. Now I’m really happy because it solves my pimple problem, but I just wonder why their soap smells like sour. I am not sure, but the one I got from the bundle pack smelling like that. Is that normal? Or maybe they just don’t put fragrance in it. How about the soap you used in this post? Does it smells nice? Trully speaking I dont know the benefits of Snow Caps… curious and besides I really love Alden as my idol… Thats the reason I buy the product… I search the net and bump into your blog and read the benefits and I was amazed…. And what surprises me more is when I checked for the blogger.. I was shocked…that it was my childhood crushie… Who did the blog… Oh my God..
Because of that I would have wanted to buy not just for a month… But I think for a year already… Hahaha… Thanks Chuckie…I still admire you until now… More Power to your carreer…!!! Snow Caps and Alden Richards - Perfect partners! - All Chucked Up! Hello i just want to know kung pwede sa 17 ung snow soap? Tas effective po ba talaga yan kasi ung kulay ko po kayumanggi tnx. Hi po im.planning to try this product do you think it will be more effective if I take 2 capsules each day plus 2 ascorbic acid? May nakita kasi ako sa watson May promo sila when you buy 30 capsules may free na Snow White Soap. Hi. I’m planning to try this product. 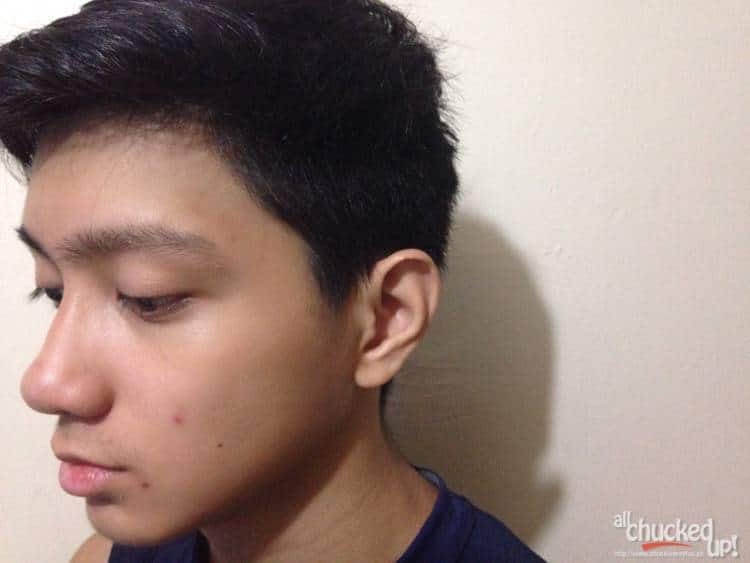 Nakakatanggal po ba ito ng blemishes?